When people all over the world work together to achieve meaningful goals, it’s important to pause and acknowledge success. Today the global health community deserves a high five. 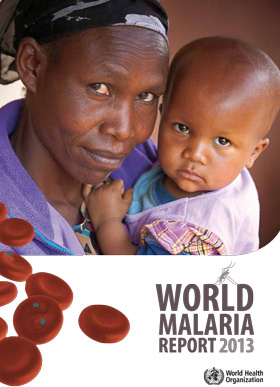 The World Health Organization released its annual World Malaria Report 2013 and it contains some seriously good news for children, families, countries, and the world. In fact, it heralds one of the major health successes of our lifetime. The big headline is that the fight against malaria has reduced by 50 percent the rate of children dying from malaria, and has saved more than 3.3 million lives since 2000. These are remarkable achievements that give us reason to believe we can actually end deaths from this preventable and treatable disease in the foreseeable future. It’s a great time to acknowledge U.S. leadership, whose bipartisan support for the fight against malaria has provided half of all global funding for the disease. While we celebrate this accomplishment, we need to remember how wily this enemy is. Malaria is an ancient scourge that has killed millions upon millions of people. We have successfully eliminated it from many parts of world, yet it still holds a tight grip in many regions, particularly in sub-Saharan Africa, where 90 percent of malaria deaths occur. An estimated 627,000 people died from malaria in 2012 alone. A Risk That’s High for Children. A Reward That Benefits All. Children are far more susceptible to the ravages of malaria than adults, with 77 percent of all malaria deaths occurring in children under five years of age. Our progress in averting malaria deaths means that more children are surviving into their childhoods. The report shows that 2012 was the first time that we were able to achieve the milestone of fewer than 500,000 children dying from malaria. This is still far too high, but it is remarkable progress. Imagine the joy of saving one child’s life. Now feel the joy of knowing that our collective efforts are saving hundreds of thousands of lives annually. The benefits of investing in malaria deliver well beyond this precious human capital. Malaria interventions also deliver critical economic value. Adults can go to work as a result of not falling sick or not having to take care of a sick child. As malaria cases and deaths are averted, we not only help families thrive but we also add billions of dollars in cost savings that nations can now use in other ways. It is estimated that more than $13 is saved for each malaria case averted, and that society earns more than $40,000 in economic benefit when a single malaria death is averted. That is a serious return on investment for the cost of an affordable long-lasting mosquito net or a highly effective dose of medication. What do these numbers mean for the over 3 billion people who live every day under the threat of malaria? They mean far fewer funerals for children. They mean women can bear fewer children because they are more confident of their children’s survival. And they mean that hospital beds once reserved for malaria patients can now be used to accommodate and more successfully treat other illnesses. With all this good news also comes a word of warning. The report documents that financial shortfalls in malaria intervention during 2011 and 2012 led to fewer lifesaving commodities reaching in-need communities, and to a notable slowing of malaria progress overall. Given a chance, this relentless disease can return , which we simply cannot allow to happen. So we continue our battle against malaria. In November 2013, The Global Fund to Fight AIDS, Tuberculosis and Malaria — in partnership with UNICEF, the UK’s Department for International Development, and the U.S. President’s Malaria Initiative — orchestrated the single largest mosquito net purchase in history, queuing up for distribution more than 200 million nets over the next 12-to-18 months. Each net protects an average of two people. This unprecedented number of additional nets should result in the highest mosquito coverage ever achieved, and the impact should begin to register more evidently in future mortality estimates. Finally, one of the great reasons for hope in the fight against malaria is the commitment of Africa’s own leaders. The African Leaders Malaria Alliance (ALMA) has grown to include 49 heads of state who understand that overcoming a challenge with the scale and dimensions of malaria calls for new approaches. ALMA has worked to eliminate tariffs on malaria commodities, to highlight in-country bottlenecks and to expedite procurement. Leaders need to be celebrated when they do the right thing, and Africa’s leaders should feel proud of their collective success in beating back malaria. Today is a good news day. As we celebrate, let’s also commit to redoubling our efforts going forward and working for that day when there will be no need for a WHO World Malaria Report.